Style Find! Mesh is yet another eye-catchy trend in 2010. The featured boots are super hot, and featured in Elle magazine's February 2010 issue. Details: Boot No. 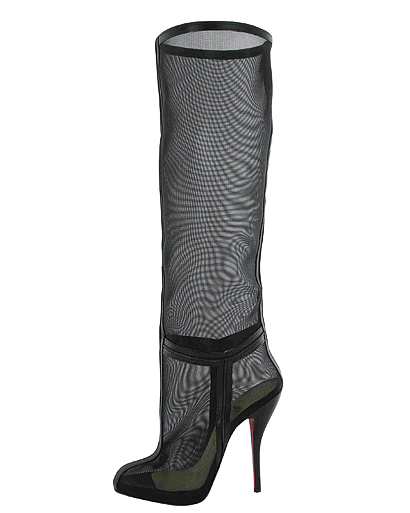 1 is knee-high in length, courtesy of Christian Louboutin; Boot No. 2 is taller than an ankle boot but stops inches below the knee, courtesy of Guess. Side note: The Guess boot is my fave, I'm loving the straps and buckles!